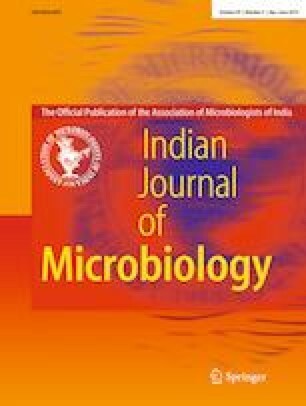 This study reported for the first time the simultaneous production of hydrolytic enzymes by Aspergillus niger under solid state fermentation using chicken feather meal as substrate. The effect of some culture parameters for production of protease, lipase, phytase and keratinase enzymes was evaluated using a central composite rotatable design. The results obtained demonstrated that the independent variables initial moisture of the culture medium and incubation temperature presented as highly significant on the enzymes production. The production of protease and lipase followed a similar profile, in which the highest values of enzymatic activities were detected after 48 h of fermentation. The conduction of the fermentative process using an initial moisture of 50%, 30 °C as incubation temperature and supplementation of the feather meal with 15% wheat bran resulted in higher yields of protease (> 300 U g−1) and lipase (> 90 U g−1) after 48 h and satisfactory values of phytase activity (> 70 U g−1) after 72 h. No significant effects of the independent variables on keratinase production were observed. However, under the selected conditions for the other enzymes, keratinase production reached values higher than 13 U g−1 after 72 h fermentation. Thus, our work contributed to the proposal of an alternative process for the simultaneous production of proteases, lipases, phytases and keratinases in a single and simplified process using chicken feather meal.